– By Chris Hogg, Course Designer, Goldsmiths, University of London Digital Marketing online short course. Online Ad Campaigns are complicated. The price of putting together an online campaign can be 30% more expensive in time and effort than a print campaign if not correctly managed. It’s far easier for an advertiser to find half a million people who are interested in buying a car at this moment on TV than online. 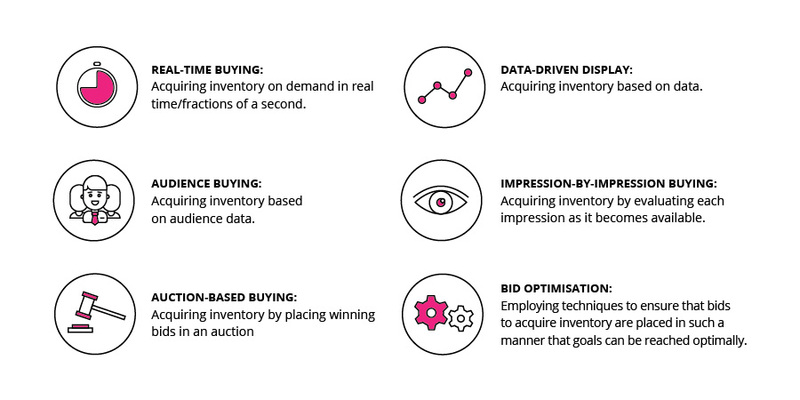 Real Time Bidding is a technology that grew in response to these two problems. There had to be a way of bringing online advertisers and publishers together in a more painless way. 2007 was the pivotal year for real-time bidding, as it was the year Ad Exchanges arrived. These new technologies created huge pools of available inventory. This created the scale that advertisers were asking for. With large pools of inventory and buyers able to get hold of it, the time was right for a technology paradigm shift and RTB was the missing piece. Exchanges began to build real-time bidding Application Program Interface’s (API’s).This meant that a workflow was developing to allow data-driven display advertising strategies. – Cost per thousand impressions rates are lower than with Traditional ad networks. – Data allows an increase in click-through rates (CTR’s). – The reach is bigger than any ad network could ever supply. 2009 -2010 saw a surge in support for RTB from the supply side. It began a wave of growth with DSP’s, Ad networks, Agency Trading Desks all eager to take advantage, and it has grown exponentially since. You’ll learn more about this topic in Module 7 of the Goldsmiths, University of London Digital Marketing online short course.